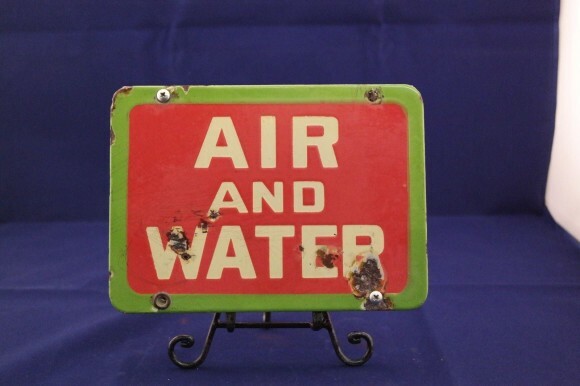 This small sign advertising Air and Water is only 9″ by 6″. The sign is quite simple. Held within a light green boarder is a red rectangle with rounded corners. Centered text reads “Air and Water” and there are mounting holes evenly spaced on the top and bottom.